“We have regained the independence enjoyed by the inhabitants of this small island for a very long time from the foreign dominance. Unfortunately today we are in danger of losing the rights we regained after 450 years of colonial rule under the Dutch, Portugese and British. We are now under the dominance of another type, far more insidious and vengeful. The journey towards a dictatorship, like the growth of a slum, is almost imperceptible. It sort of happens around you without your being conscious of it until one fine day you are surprised at the outcome. But it runs its eventual course because we choose to ignore the first signs that something is amiss. We accept them without demur. What we see today is beyond the first signs of a journey towards authoritarian rule. Sadly, there are enough politicians who are so venal, so corrupt and so unscrupulous that a designing administration is able to ‘buy’ them over and secure the required majority to help it rule as it will. Since 1978 WE, SRI LANKAN pawned our Independence to the FAMILIES OF SCOUNDRELS AND LUNATICS. the Rajapaksa White Van arsenal. Yes, there is nothing to celebrate after the recent end of the rule of law. There is less freedom under the current dictatorial rule than what we enjoyed before the independence. We were the second most prosperous nation at the time of independence. Now we have young women prepared to work as slaves in Arab countries. We have boatloads of people undertaking hazardous journeys to get out of Sri Lanka. We had a bright future after the end of the war in 2009, as reflected by the rise in the stock market, which is based on future returns. Even that euphoria is no more. The only hope is that we will follow the footsteps of Malaysia under Mahathir and accelerate our economic growth rate under this limited Democracy. that the local Gota-affi can frighten is enemies from down South. I think we have another problem now. That is generations after generations migrating to other countries looking for greener pastures as there are no opportunities here. The older generation is left alone ending up in Homes for Elders. What a sad situation at the 65th independence day! Nothing to show or to be proud about. This is all the making of explosive national blood thirsty speeches and supporting the slaughtering of the revolutionists for their own benefits of the rulers in the past as mentioned above by the author. This is all to do with the CURSE on the pearl of the Indian Ocean. Whats happening to CJ ,SF and so on to name the few is all to do with KARMA. what you sow you reap. It’s nothing to do with the yellow robed clowns. One such clown is serving prison sentence in Britain for his own sins committed. So no one can escape from mighty god above us. It all happens in our life time to serve and pay the penalty to god. SriLanka is no different from any other cursed nation in the world. Like Afganistan the religion and the extremism go hand in hand. That is the downfall of a nation. Live and let live and Religious tolerance is the essence of prosperity . Why not the BEGGING bowls are there to show the WORLD how much we have achieved since 45 years of independence. CORRECTION 65 YEARS OF INDEPENDENCE . HELL OF A LONG TIME IT APPEARS TO BEG AND TO BORROW. The Pearl of the Indian ocean is rotting ever since Ceylon became Sri Lanka. As Ceylonese all communities were equal in claiming ownership of this Paradise Island. Research shows that the Muslims in the Island will lean towards the Tamils if the Sinhela were to attack their faith and the rest of the world would sympathize with them. The majority of the peace loving Sinhala people in the Island realises this, however it is apparent that the Ruling family and a few diaspora (who have nothing to lose except their dole) is making a grave mistake in playing to the BBS. Did not the sinhela only policy ruin Paradise Isle economically (currently Debt Ridden; pawning its sovereignty) and socially (35 years of Terror)? Did not a Monk sacrifice the life of SWRD for sinhela only? Should not the Past Lessons be a Guide to the Future. The President has enough intellectuals to guide him, let the President to do his job. Do you want a leader who allows the fools to mislead our young people, and turn them against their own people in the name of democracy? Did you forget what the LTTE and the JVP have done to the young people and to the country? Do you really believe that minority Westerners will implement a policy or political system that would work for the majority Asians? Do you believe that minority Westerners are prepared live under the majority Asians? Do you believe that minority Westerners are ready give up their world dominant power? Do you have any idea how much India is behind China, because of its political system? There will be no comparison between the mighty China and India in 20 years. Due to my writings, the New Zealand government started to tightening of the noose that is around my neck. I can’t get a job. I can’t even get an accommodation in New Zealand, because of the Westerners’ dirty propaganda. The Westerners must walk the talk, before preaching to the developing countries. Australia abolished its white Australia policy in the 70’s, but its constitution continues to portraits white Australia policy. The Australian government still refuses to acknowledge indigenous people as the first inhabitants of Australia through its constitution. I found that Canada does not practice what it preaches to the developing countries either, in terms of democracy. The ideology and histories of Australia and Canada are the same. Canada also treats its First Nation People badly; and the Canadian government also feels uncomfortable with my writings. Canada allows its First Nations to live in their lands, but refuses to give ownership to them, in order to use the resources without any restriction. This tactic also allows the Canadian government to have full control of the money profited from the sale of resources. The Westerners invade others’ countries, but preaching law and order to others! Minister of Opposition, Ranil Wickremesinghe’s hypocrisy. the 40 some UNPers in Parliament. If you look at the encyclopedia published in 1950s it says.Sri Lanka enjoys the highest standard of living in whole of south Asia.also says that civilization has brought to Malaya by Jaffna Tamils.look at where are we today.probably we are better than only Pakistan which is a good friend of Sri Lanka.even Bangladesh is making great progress.We have such a wonderful land and hard working people.the bloody politicians have taken us to a point of no return.I have never seen an idiot like Ranil.if you cannot perform please leave and go.He is hanging on for petty benefits while the country is burning. The Tamils never had the freedom to the meaning of the word. They were subjucated right throughout the 65 years. 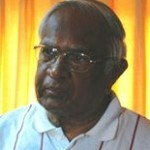 The unfortunate and unwanted war had made things still worse for the Tamil people. Although we call ourselves as Sri Lankans where ever we are but we are not so. I do not know what would happen to the future generation of the Tamil people of dispora. Will the grand children and great grand children call themselves Sri Lankans. No one knows the number of Tamils murdered during the last days of the eelam war. Only the Sri Lankan Army knows about it and how they disposed of the dead bodies. Of course the LTTE is partly responsible but the government which is for the people should take more responsibility for the lives of the civilians. But it doesn’t want to recognise but continue the human rights violations. Nearly 30 to 40,000 people of Vali North (belonging to 8 villages) are still languishing elsewhere. The army is taking over those villages without resettling the owners of those lands. This is another human rights violation. For the Government the Army is more important than the people because they are Tamils who has nothing to do with the war or LTTE. Miss pillay who visited the North states that she has observed some improvements in the North. What is the improvement she had seen. It is the carpeted roads which were built for the use of over 50,000 army personnel stationed in the North. There is no other development taking place in the North of Sri Lanka.